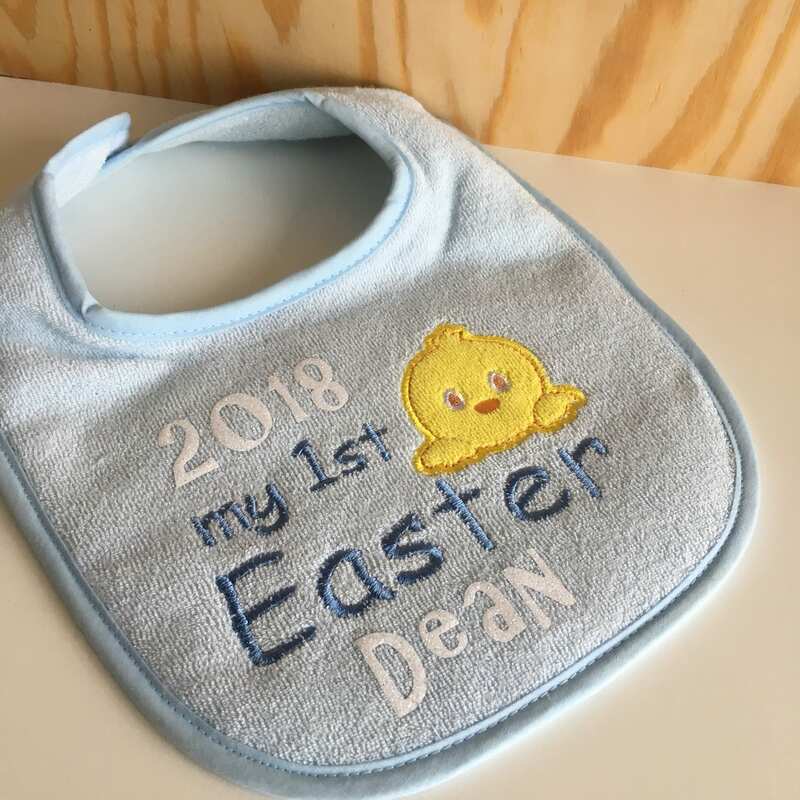 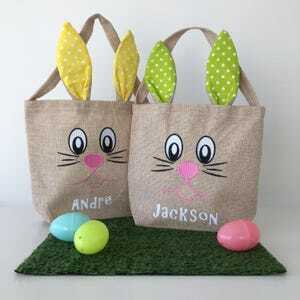 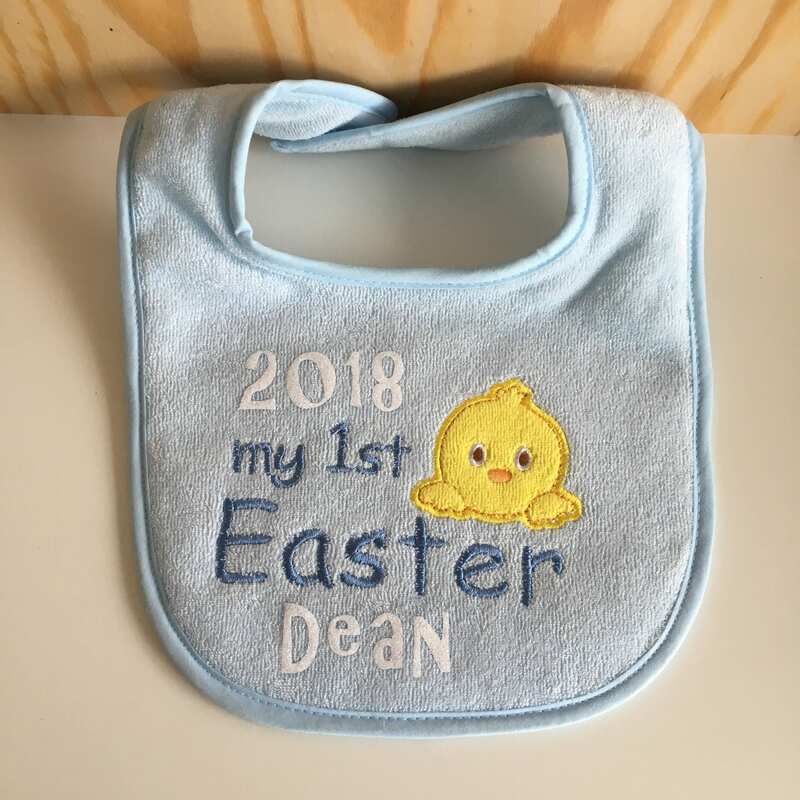 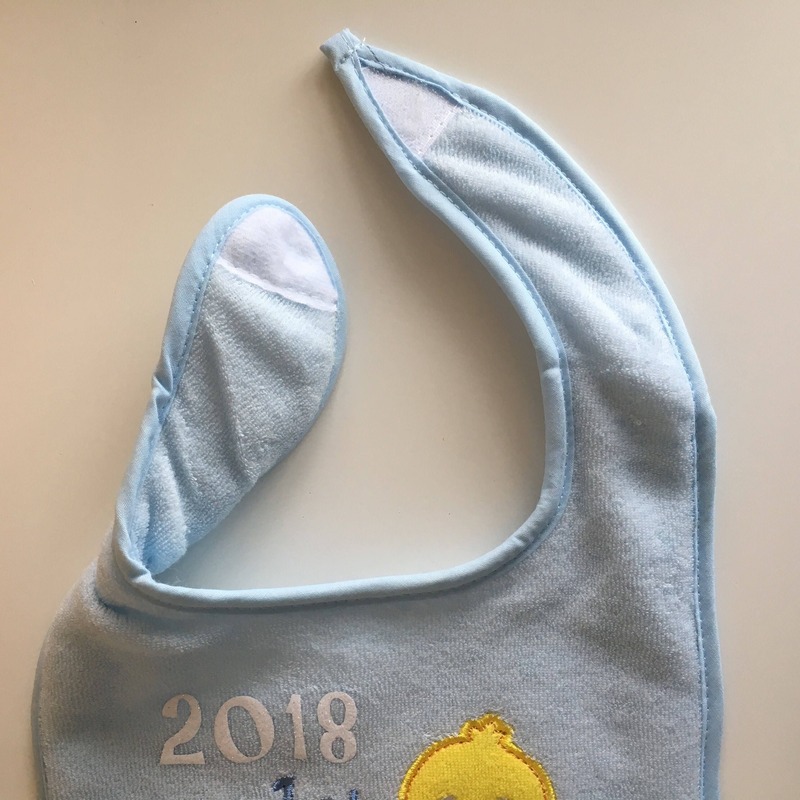 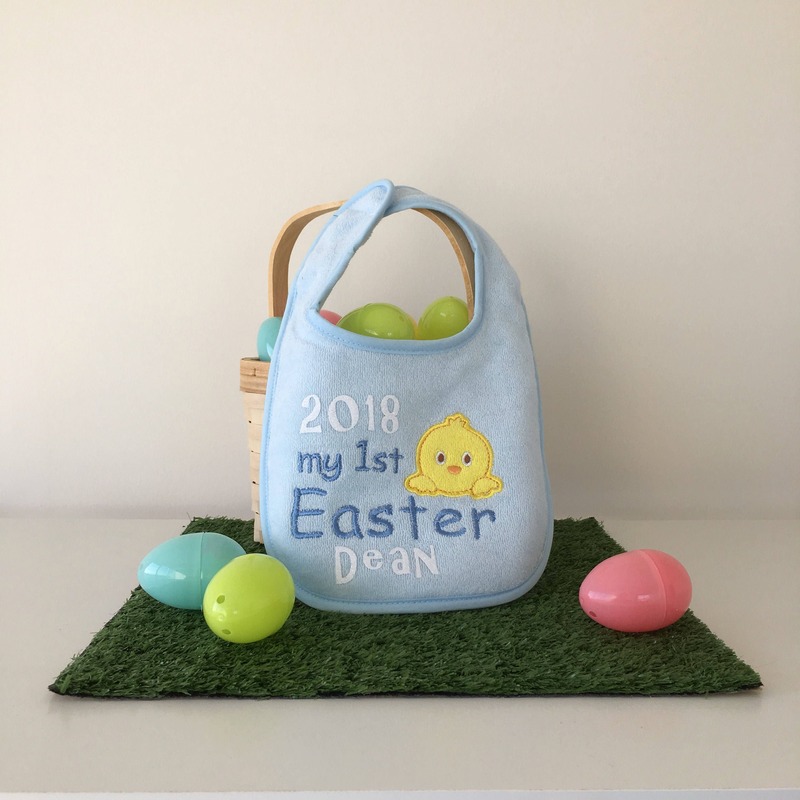 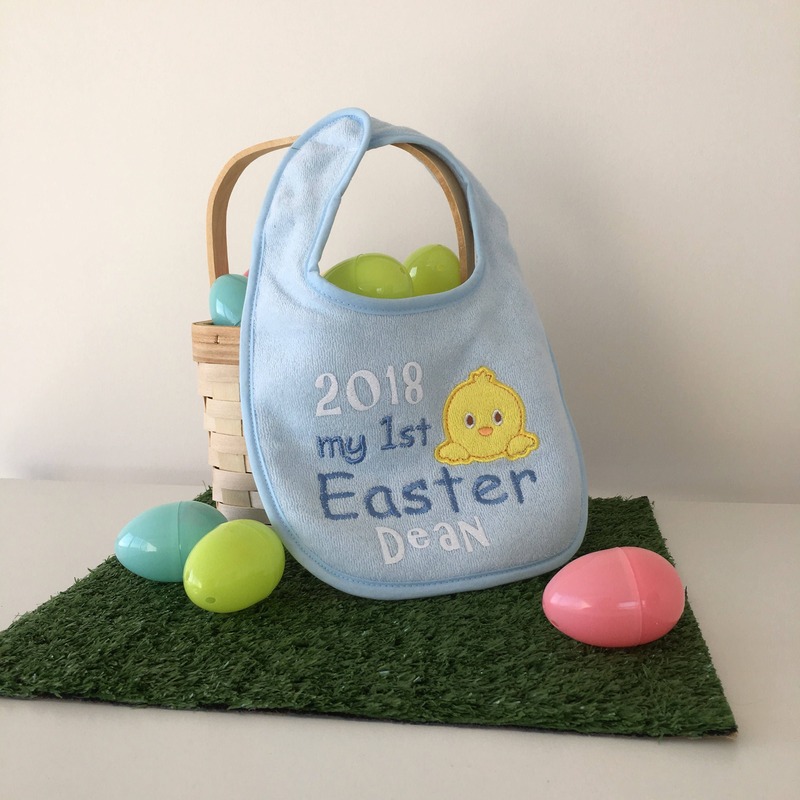 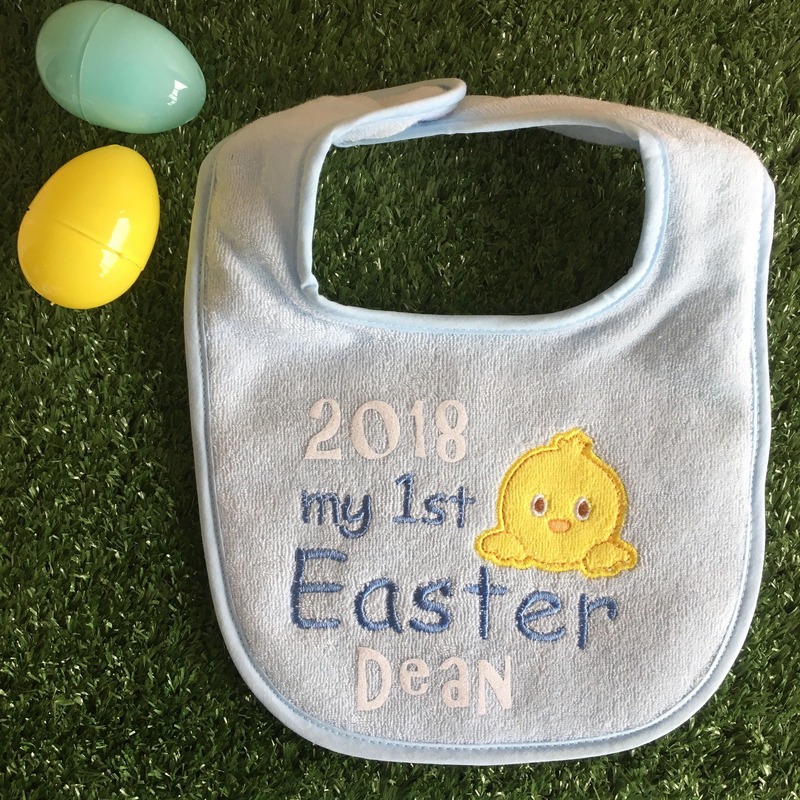 My first Easter bib customized with your childs name! 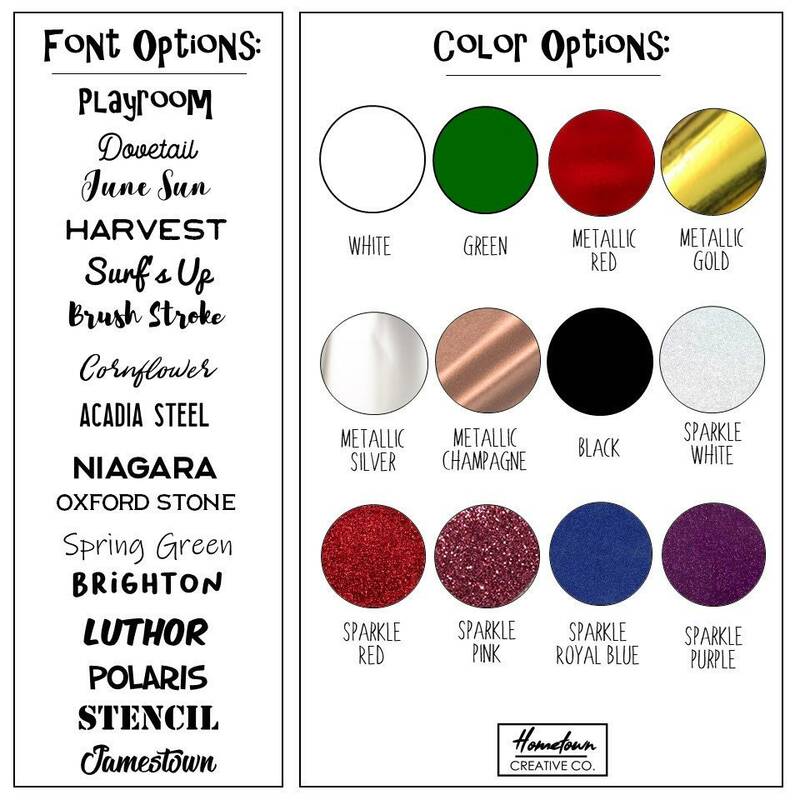 Font and colour of the name can be customized, the options for fonts and colours are included in one of the images. 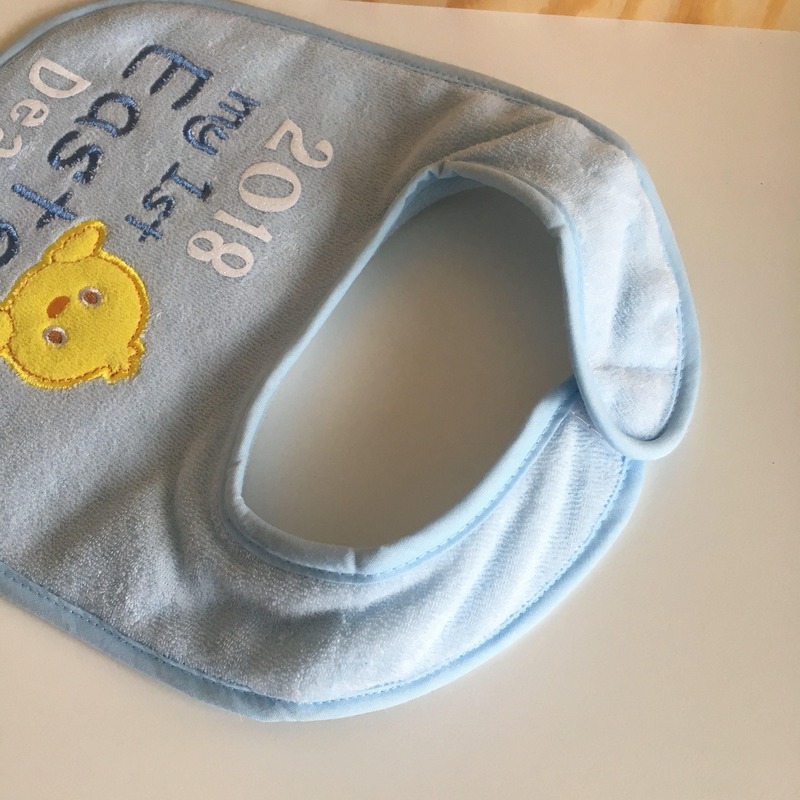 -If you need these in a rush for a specific date please leave a note in the comments section and I will do my best to get these there in time. 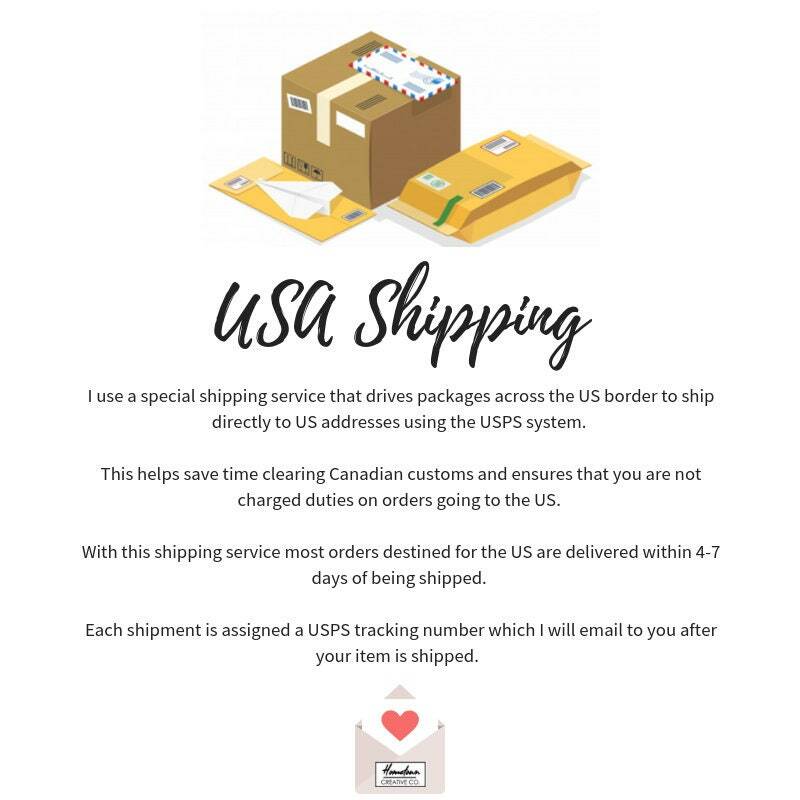 If for some reason that doesn't look like it's possible I'll make sure to contact you right away. 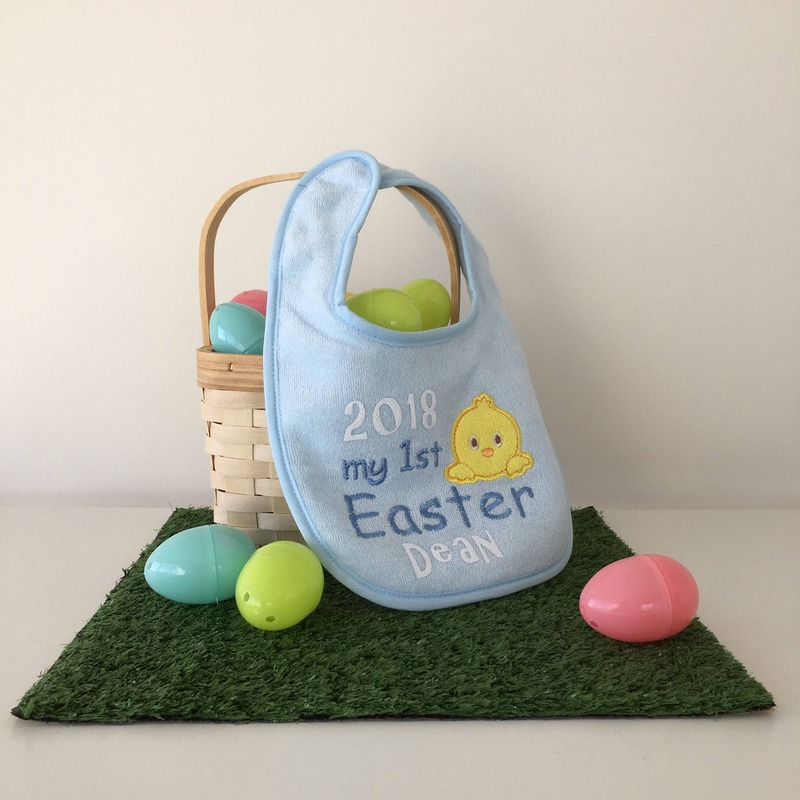 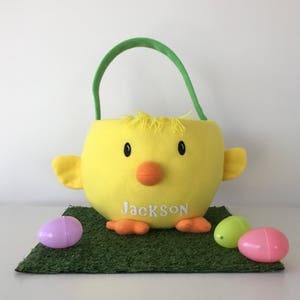 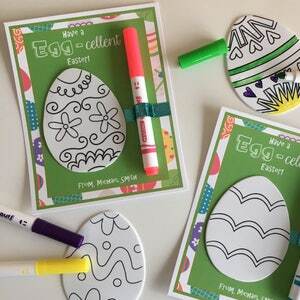 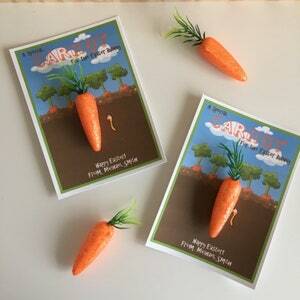 Thank you for checking out my shop and Happy Easter!